United Nations, July 25 (IANS) UN Secretary-General Antonio Guterres has strongly condemned the terrorist attack in Lahore that resulted in the deaths of 26 people. 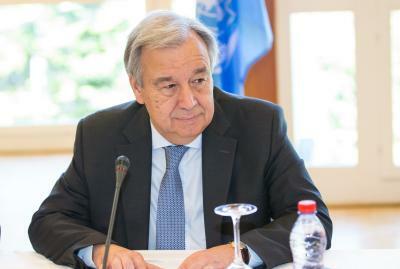 Farhan Haq, Guterres’s deputy spokesman, said in a statement on Monday that the UN chief extended his condolences to the families of the victims, reports Xinhua news agency. “He supports the efforts of the government of Pakistan to fight terrorism and violent extremism with full respect for international human rights norms and obligations,” said Haq. The attack took place on Monday evening at the entrance of the Kot Lakhpat Vegetable Market on Ferozepur Road. According to Punjab province authorities, 58 others were injured in the explosion carried out by a suicide bomber. The Tehreek-e-Taliban Pakistan terror group claimed responsibility.